of the best tech talent straight to your Workable hiring pipeline. The Workable free trial provides access to Workable's collaborative tools for you and your team. From job posting to candidate sourcing, applicant tracking, interview management and more. Create a mobile-friendly careers page and up-to-date job listings. Promote your job on multiple free and premium job boards with a single submission. 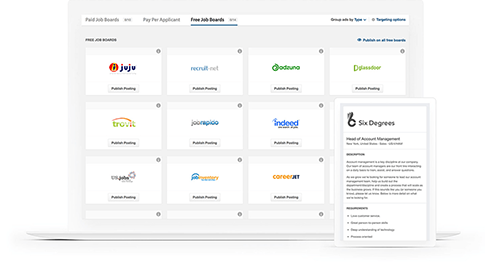 Workable’s job board network includes Indeed, LinkedIn, Monster, Glassdoor, Stack Overflow and many more. 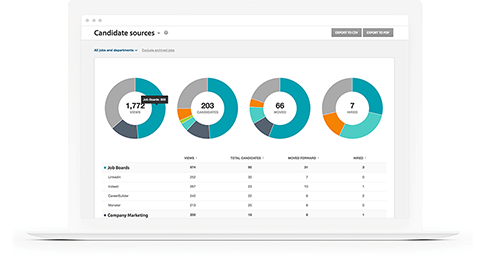 Alternatively, search for candidates directly, based on skills, keywords and target location. Reviewing resumes and moving the best candidates forward is the backbone of any recruiting process. Workable streamlines these tasks by keeping all the information and tools you need in one place. Rich profiles hold a full record of each candidate’s history; from application to team feedback, interview schedules and evaluations. Workable integrates with Google Calendar and Microsoft Office 365, so you don’t need to be logged in to Workable to plan multiple interviews with candidates and your team. 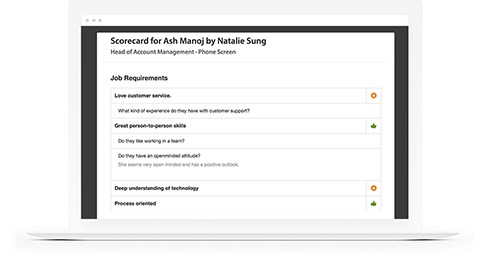 Use interview kits to create a structured interview process and scorecards to generate and record actionable interview feedback. Collaboration is easy with Workable. Each candidate profile is a record of everything you need to know, from resumes to application forms, interview schedules and team feedback. Workable integrates with Google Mail, Office 365 Outlook, Yahoo and more, so you can work from your email application or Workable, and keep up to date with communication from anywhere. Workable is also available as an app for iOS and Android. Use hiring reports and analytics to refine your recruiting process. 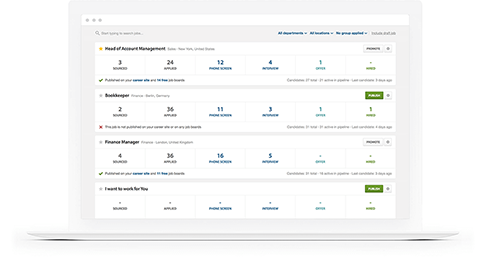 Track the source of your most qualified candidates to improve job board ROI and see the progress of your open jobs. Drill down into aggregate data to assess your hiring speed over time and analyze activity reports to help your team improve. Workable is trusted by over 6,000 companies to streamline their recruiting. With its intuitive interface, Workable helps hiring teams through every step of the process. Workable is trusted by over 6,000 companies to streamline their recruiting process. Secure and stable, Workable will grow with you. Create an account, invite members of your team, post jobs and manage the applications. 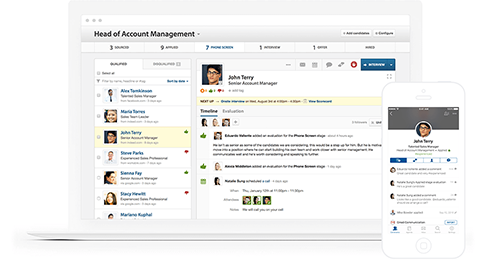 The free trial provides all the features of Workable for you and your team.